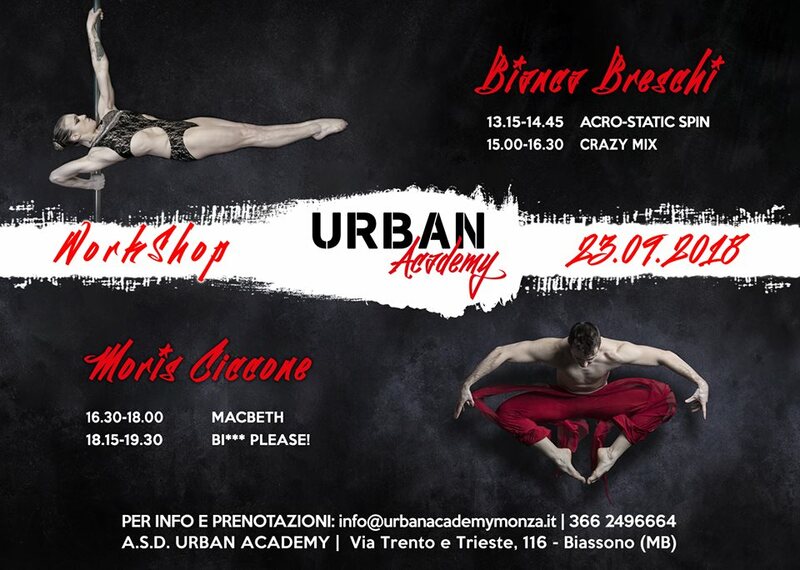 Home » Eventi » Workshop » WORKSHOP CON BIANCA BRESCHI E MORIS CICCONE ALLA NUOVISSIMA URBAN ACADEMY DI MONZA! WORKSHOP CON BIANCA BRESCHI E MORIS CICCONE ALLA NUOVISSIMA URBAN ACADEMY DI MONZA! Workshop Bianca: € 75 cad. Workshop Moris: € 55 cad.